Local Elections in Cambodia: Wake Up Call for the Ruling Elites? At the beginning of the month Cambodia hosted local elections that precede parliamentary elections that are scheduled on the summer of 2018. In this context, the role that local elections play in the political life of the country can hardly be overestimated, since they serve as a display of the ideas and moods that dominate the Cambodian political scene and can be regarded as an indicator of the course that the parliamentary elections are going to take. The ruling elites, it seems can be quite satisfied with the results they’ve shown, at least at the first glance: The People’s Party of Prime Minister Hun Sen will control about two-thirds of the community councils across the country, with the opposition getting only getting one third. These proportions are unlikely to be changed by the time the final vote count is announced, which is bound to happen on June 25. But there are other indicators, which can lead an analyst into questioning the dominant positions that the People’s Party has been occupying across the country. After almost 7 million voters voted, and mind you the turnout has exceeded 89% of registered voters, the gap between the People’s Party of Prime Minister Hun Sen and the pro-Western opposition united under the Cambodia National Rescue Party (CNRP) was reduced to a bare minimum. According to the information provided by news agencies, about 51% of all voters voted for the ruling party, while another 46% supported the opposition party. At the same time, largest cities of the country, Phnom Penh and Siem Reap have unanimously voted for the opposition, which makes the situation particularly worrisome for the government. The gap is so small that any forecasts regarding the outcome of the 2018 elections cannot be taken seriously anymore, since any accident, say a corruption scandal or any public event can completely ruin the existing balance between the contending parties. At the same time, even the numbers we have allow us to draw a number of important conclusions. The forthcoming parliamentary elections will undoubtedly become a stress test for the existing political system of the country, as neither of the parties will not be able to secure a decisive victory, hence both of them, as is customary in Cambodia, will report their victory. Clashes between the supporters of the ruling party and the opposition followed by massive demonstrations are pretty much inevitable, and the question is only how far this confrontation will go, or are we looking at the prospects of a possible civil war? The elections have shown that in the Cambodian reality, no actions of the ruling authorities are going to seriously impact the outcome of the elections. Neither the intimidation of voters by Prime Minister Hun Sen, who has repeatedly stressed that should the opposition score a victory a new civil war may be started, nor a limited amount of social benefits provided to thousands of peasants and representatives of small businesses. Even a stable economic growth of 5-6% a year, which has been observed year after year, can not ensure a secure majority for the ruling party. There are several explanations for this phenomenon. Among them one can mention the fact that the population seems to be fed up with the continuous rule of the NDP, and its permanent leader Hun Sen, who became prime minister back in 1985, when the majority of today’s voters wasn’t yet born. For that period of time, with a short break for the period of the UN peacekeeping operation in Cambodia, he has always been at the top. Polls are showing are growing increasingly tired of his figure, especially in large cities, so they want an alternative, especially when Hun Sen’s party is now being largely associated with a series of corruption scandals and outright lawlessness. In addition, the style of propaganda of the ruling party has inherited a great deal from its predecessor, the People’s Revolutionary Party, and an endless series of reports about how peasants, students and entrepreneurs are demonstrating their support to the ruling party cannot be taken without a grain of irony. Just like the numerous news reports about how Hung Sung, surrounded by his entourage, who are constantly half-bent in a bid to show him respect, examines the farmland in some province and gives “valuable instructions” that look like an anachronism, especially against the background of the opposition, which relies mainly on the Western principles and builds a civil party with a minimum amount of distinctions between its leaders and ordinary members. To explain the success of the opposition, it is necessary to take a look the activities of various non-governmental organizations (NGOs) and the effect they produce on the local youth. The fact is that after the establishment of the second monarchy in 1993, a large number of Western NGOs arrived in the country, which began to actively propagate the values of a democratic society. Their trace can be observed everywhere now, especially in the sphere of education, where Western experience is propagated as the only possible way of development, followed by the criticism of the ruling regime, whose figures are accused of corruption and despotism. The reality is that all these accusations can hardly be described as groundless, and in a country where the press freedoms are a norm, all the corruption facts are well known across the country. Therefore, it is obvious that corruption, which is rarely punished in Cambodian has become yet another factor that works against the ruling party. One can not help mentioning the Khmer opposition, which has been in preparations for the 2018 elections for a long time, trying to get all of its forced consolidated, despite the constant attempts of Hong Sung to split it, arrest and condemn, under far-fetched pretexts. Constant verbal and financial support from the countries of the West proved to be extremely helpful for the opposition forces. 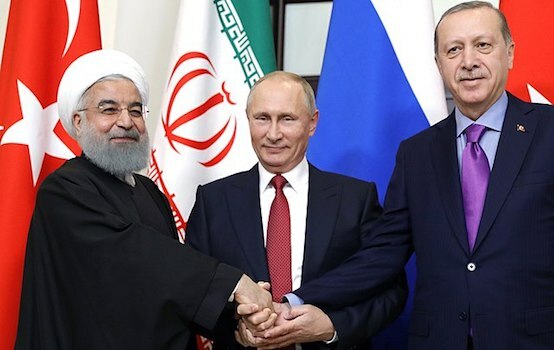 The European Union, for example, recently threatened to impose sanctions against the ruling regime, if the “climate of dialogue” in the country is not restored. In translation from the diplomatic language, Hun Sen was threatened with serious measures if he doesn’t weaken the pressure he puts on the opposition. 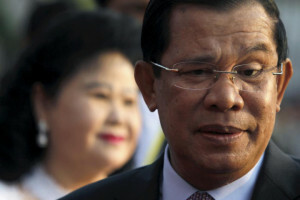 It’s curious that the Khmer opposition has finally got rid of the main weakness that hindered its positions in the past. These days it’s not being perceived as a party of emigrants from the United States, France and Australia, who for a short time came to their homeland, and became a Khmer party when its new leader, Kim Sokh is continuously residing in the country. In this regard, one cannot help but question the judgment of Hun Sen who allowed the persecution of such an opposition leader as Sam Rainsy – an ardent nationalist who openly expressed his negative feelings towards Vietnam, he’s an eccentric person who has been repelling any sane person by his statements. Today, Sam Rainsy is forced to emigrate, thus he transferred all power into the hands of new people who have their own plans for the upcoming election. A great many of the opposition figures have been arrested, which has only increased their popularity. Against the backdrop of new people joining the opposition, the ruling regime’s ranks of old guards of the ruling regime, Hun Sen himself and his sons, who have already become generals, do not look modern, which can play a cruel joke on the ruling party. It can be said that the development of the political process in Cambodia is moving into a new stage – direct preparation for general elections. 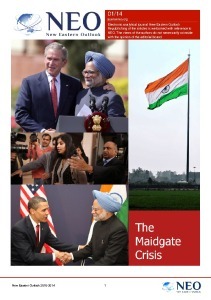 This stage begins in a very difficult situation which the ruling party has created for itself. At the same time, it still has the time to redeem itself in the eyes of the voters.